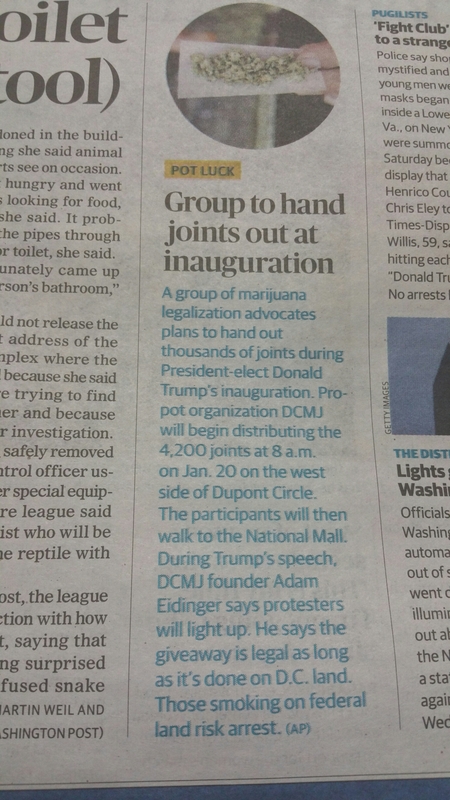 So the other day I was reading in the local newspaper about what an organization plan on doing during the inauguration. Then I saw it on the news and all I could say is at least there will not be any protesters because they will be to high. But I don’t think this group thought this through but to each it’s own. This will be interesting.